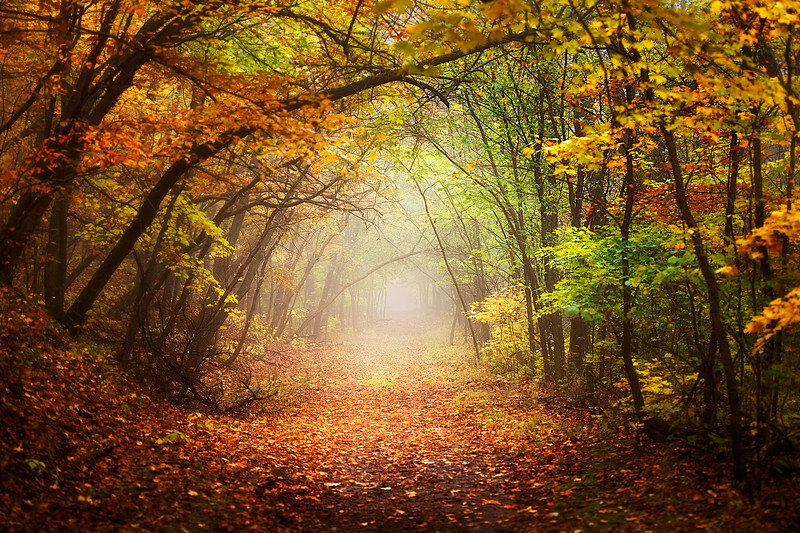 Autumn can be a magical and mystical season. Imagine walking down this fogy path. See the beauty around you. Feel the leaves as they soften each step. Inhale the smell of autumn. And completely surrender your senses to autumn's beauty.